Sean St Ledger grabbed a cracking late winner as Preston battled to a 2-1 win at home to Barnsley. Sean St Ledger grabbed a cracking late winner as Preston North End battled to a 2-1 win at home to Barnsley. 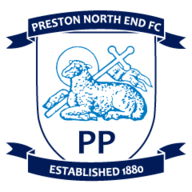 Preston had taken the lead through Richard Chaplow, only for Jamal Campbell-Ryce to equalise before St Ledger's strike two minutes from time. The visitors, who came into the match having taken 13 points from the last 18, started promisingly with Campbell-Ryce looking to make early inroads down the left wing. But it was Billy Jones who almost created the first chance of the match for Preston, when, after a mazy run down the right he misplaced a cross, as the unmarked Chris Brown waited in the centre. Diego Leon, who netted in the corresponding fixture last season, looked to orchestrate play from the centre of midfield and he found former Preston favourite Jon Macken on the edge of the area but his turn and shot was saved by goalkeeper Andy Lonergan. Neil Mellor tested Heinz Muller in the 18th minute, when his 20-yard shot was nervously fumbled by the Tykes stopper. Three minutes later North End took the lead thanks to persistent chasing from Mellor. As Hugo Colace looked to shepherd the ball out of play the former Liverpool striker hustled the Argentinian to keep the ball in play before pulling it back to Chaplow for an easy close-range tap in. But Barnsley were level 12 minutes later when Campbell-Ryce drilled a shot into the bottom corner after he was gifted too much time and space on the edge of the area. The second half began much the same as the first with Preston doing more of the pressing and Chaplow will feel he should have done better with a shot which was saved by Muller. 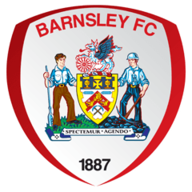 Barnsley, however, looked ever dangerous at the other end with Campbell-Ryce at the heart of their good work. And the Jamaican, playing a free role in midfield, almost gave Barnsley the lead with a shot which was turned onto the post by Lonergan. Mostto should have done better with a shot from inside the area, while the lively Mellor forced Muller into a good save moments later. Chris Sedgwick was next to be denied by the visitors as his sweetly struck volley was cleared off the line by Rob Kozluk. Just as the game looked to be heading for a draw St Ledger was given an invitation to stride forward before smashing the ball past Muller.